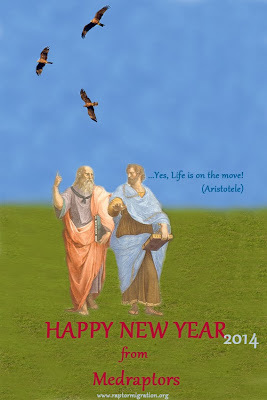 we are entering in the new year that is also the 10th year of Medraptors life. We take this opportunity to wish you a happy 2014. With the invitation to go on working for the knowledge and the conservation of raptors and biodiversity (in spite of all the difficulties…). Next week, on thursday the 12th, a seminar on raptor migration will be held at the University of Florence. 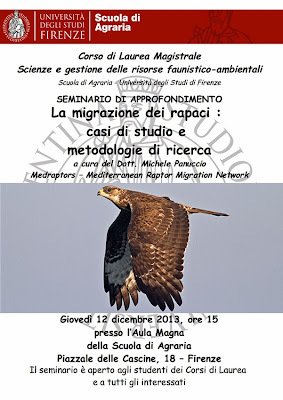 Michele Panuccio from Medraptors will keep a presentation about research techniques and will show some case studies of migrating birds of prey.